In the Bismarck Model countries, this principle is reflected in the rules governing health insurance. In those countries, everybody has to buy the basic package of health insurance—even the young and healthy, who may feel they don’t need any coverage. This requirement, known to economists as the “individual mandate,” has become intensely controversial in the United States. The 2010 health reform act includes a mild version of the individual mandate. But that portion of the law has been challenged in the courts by many states. So the “individual mandate” remains an unsettled issue for the United States. But in the rest of the world, there’s no debate on this point. Everybody is mandated to pay into the insurance system; that guarantees enough income so that the plans can pay all the claims. The insurance plans, in turn, are required to accept all applicants, to pay all claims, and to continue coverage even when the insured gets hit by a truck and runs up large medical expenses. They can’t make a profit on basic coverage, although insurance companies in many countries are permitted to sell for-profit policies covering services not included in the standard package of benefits. 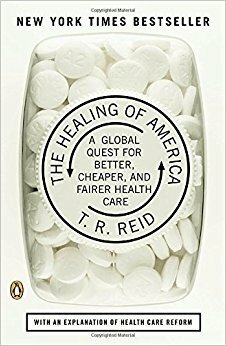 It may be possible to finance fair and cost-efficient health care for all through profit-making health insurance. It may be possible, but no country has ever made it work. For-profit health insurance clearly hasn’t worked in the United States, which spends more than any other country and still leaves millions without any coverage. And no other developed country wants to try it.